I'm a retired engineer and a space flight enthusiast since my childhood. I live in Switzerland near the city of Locarno. 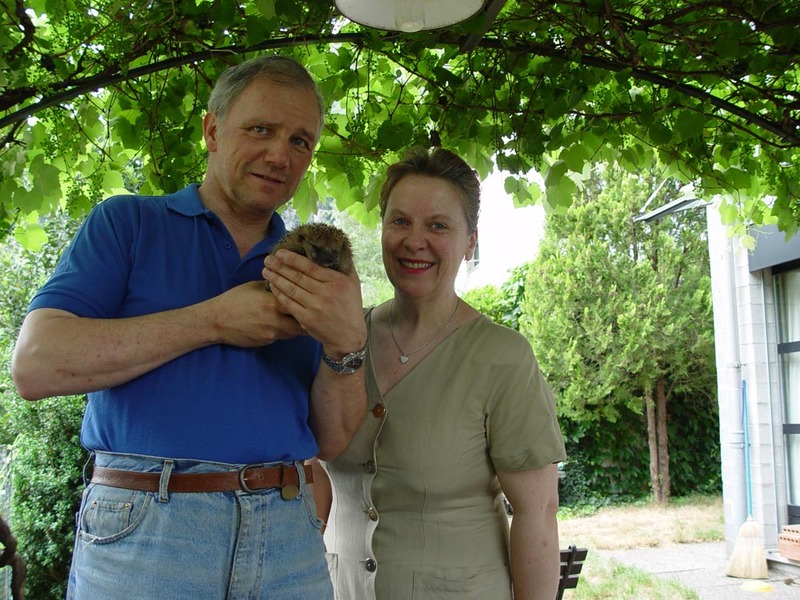 My wife Elsa and I started a Centre of Treatment for Hedgehogs, which is now the biggest in Switzerland. We treat all injured, sick or orphaned animals that people bring to us; and, later, free them in the wild. People also bring us squirrels, foxes, beech-martens and other animals to cure and eventually free. 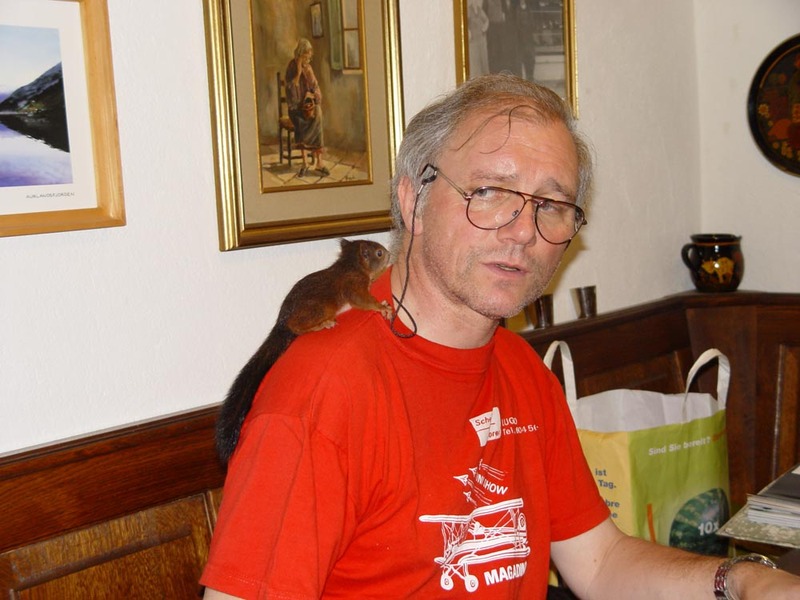 "The hedgehog we have in Switzerland and in neighboring countries is erinaceus europaeus." 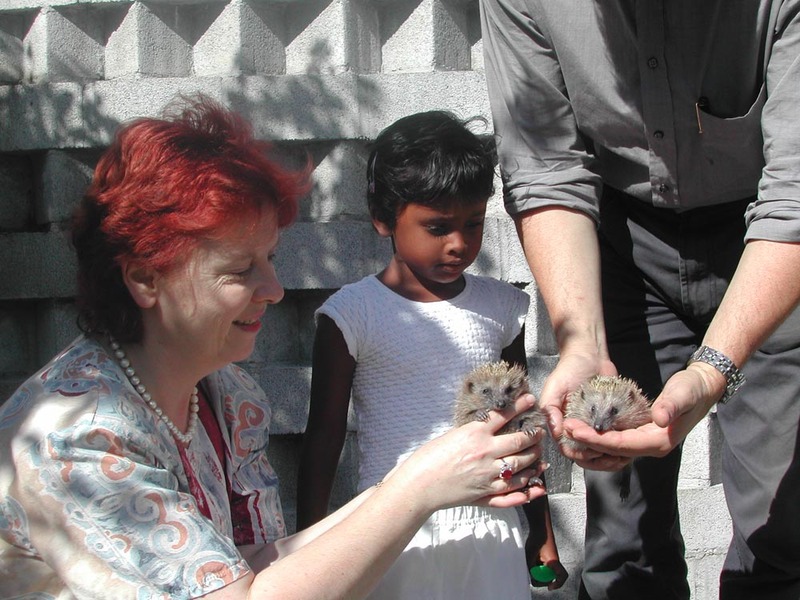 Elsa and Alex introduced a visitor to two young hedgehogs.
" Findus is a young Red Squirrel, sciurus vulgaris, and his name is a bit of a joke. or something that has been found, as this squirrel was."